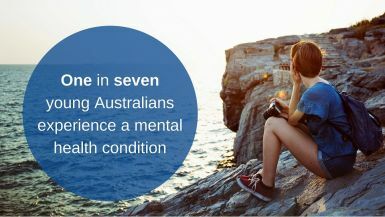 One in seven young Australians experience a mental health condition. Young people experiencing mental health problems will get the help they need faster, after the announcement of new funding for the Assertive Mobile Youth Outreach Service (AMYOS). Getting treatment for mental health issues can be difficult in some regional areas and this injection will see seven new teams spread across the state, with another two teams expanding as a part of the of Queensland Health’s Connecting Care to Recovery 2016-2021 plan. With these latest additions, regions across the state, including Toowoomba, Townsville, Cairns, Gold Coast and Rockhampton will see specialised, targeted and recovery-oriented mental health care for their most vulnerable young people. With one in seven young Australians experiencing a mental health condition and only half of those having used services in the past 12 months this funding vital for young Queenslanders. At a time of physical, social, emotional and academic challenges, engaging youth, particularly in traditional clinic-based services, has proven difficult. But a review has shown AMYOS’s mobile teams have had more success than clinics; they have significantly lowered the risk of harm to patients and others, as well as reduced the number of admissions and lengths of stay in hospitals. AMYOS is delivered by teams of multidisciplinary mental health clinicians under the clinical leadership of a child and youth psychiatrist. Since their introduction in 2014, AMYOS teams have supported almost 300 young people and their families.